Dr. Eric Segal will be presenting at the 2016 Dravet Syndrome Foundation (DSF) Family & Professional Conference on Friday, June 24 at 2:45PM. Dr. Eric Segal has been invited to present at the 2016 Dravet Syndrome Foundation (DSF) Family & Professional Conference on Friday, June 24 at 2:45PM. The conference will take place on June 23-26 at the Westin Colonnade, Coral Gables, Florida. The event website is http://www.dsfconference.org. Dravet syndrome is a rare genetic epileptic dysfunction of the brain. It begins in the first year of life in an otherwise healthy infant. About 80% of people with this syndrome have a gene mutation that causes problems in the way that ion channels in the brain work. The seizures do not respond to seizure medications well in most cases and many of the children with Dravet Syndrome develop some level of developmental disability. Dr. Eric Segal received his medical degree from the Albert Einstein College of Medicine, Yeshiva University, Bronx, NY. He completed his Pediatric Residency at the Children's Hospital at Montefiore - Bronx, NY and then went on to complete his Child Neurology Fellowship at Columbia University Medical Center in New York, NY and a Clinical Neurophysiology Fellowship at the Children's Boston Hospital in Boston, MA. 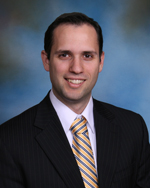 Dr. Segal is board-certified in Pediatric and Neurology, with special qualification in Child Neurology. His areas of special interest are metabolic epilepsy and epilepsy surgery in children. He has been awarded two very prestigious awards: the American Epilepsy Society Young Investigator Award in 2011 and the Arnold P. Gold Foundation Gold DOC Award in 2010. Launched in 1998, Northeast Regional Epilepsy Group (NEREG) is a multi-site practice in New Jersey, New York and Connecticut that offers unique services and comprehensive care to children and adults with epilepsy. NEREG provides state-of-the-art diagnostic procedures, 24/7 patient service, highly skilled and experienced practitioners, and exceptional specialty programs designed to cover a broad range of health care needs in each epilepsy patient. NEREG consists of nineteen board-certified epilepsy specialists with fellowship training in adult and childhood epilepsy, as well as many other highly skilled health care providers including pediatric/adult neurosurgeons, neuropsychologists, epilepsy nurse practitioners, a specially trained nutritionist and epilepsy advocates.